Caroline and its parent company Capitol Records held a private rooftop party last night in NYC where some of their artists interacted with media and other industry heads, and also introduced their new music to them. 50 Cent was one of the artists who performed ‘Lotto‘ with new G-Unit signee Rotimi. 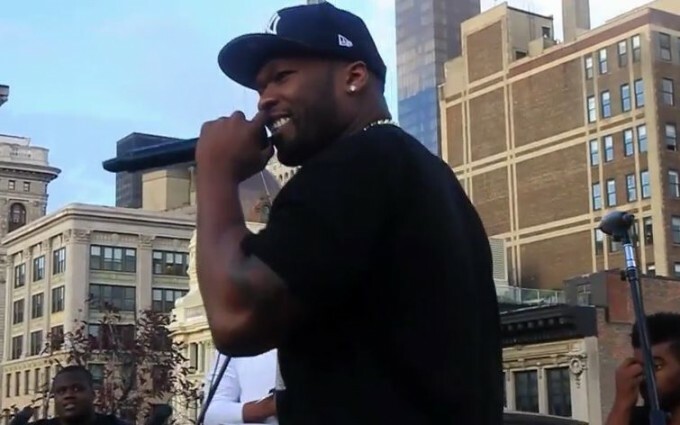 Right after that, the G-Unit general debuted a brand new song called ‘9 Shots’ which is a metaphor between 9 kinds of moments in life and him getting shot the same number of times early on in his career. He mentions that it’s from his upcoming album Street King Immortal which will have a lot of “personal” material on it. This is heartfelt music and his core fans will absolutely love it. Get a taste of the song below. UPDATE: Here goes the official footage. The single drops later tonight! UPDATE 2: Listen to the CDQ version here.